TOP BILLING: "I have great expectations for this show." 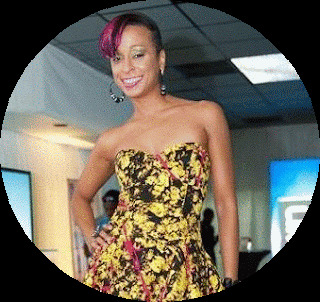 Alaine is full of surprises and never has this fact been more evident than in 2012, as the songbird, actress, talent-show judge and style star kicks her career into serious overdrive. And what better way to end an amazing year than by stepping into the principal role of a highly anticipated stage musical (Glass Slippaz, JAMBIZ’s Jamaicanized take on Cinderella) that positions you centrestage even as it challenges you to move outside your comfort zone. 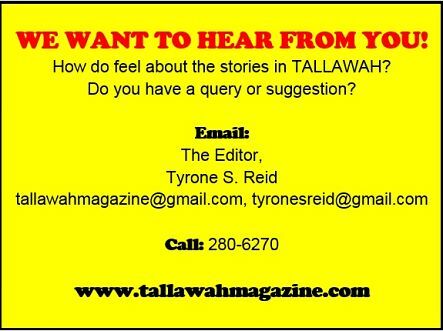 Talking acting, the single life, and future plans, TALLAWAH discovers the passion behind this latest chapter of Alaine’s superstar journey. TALLAWAH: What has surprised you the most as you make the leap to commercial theatre in this upcoming stage production? Alaine: Theatre is not brand new to me, but professional commercial theatre in 2012 is definitely brand new. So far it’s been a lot of fun. It’s work, but it’s just so much fun. The process is so hilarious, it doesn’t feel like work. I have great expectations for this show; it is hilarious, and I’m just so happy to be part of it, getting to retell the Cinderella story in a very Jamaican way. And it’s been a great journey, working with Patrick and Trevor and all the members of the cast. It’s just been wonderful. Where do you see parallels between yourself and your character, Cindyrelisha? Wow, I probably have had some run-ins with some not-so-friendly girls because I went to an all-girls school where you had the popular girls and the not-so-popular girls. But otherwise, it’s just me reliving the fairytale that was one of my favourites growing up. What's the secret to being single and successful? Oh my. I don’t know if it is so much a secret. I talk about it all the time; it’s just trusting God and running full speed ahead with great opportunities as they are presented. This year also marked your appearance as a judge on Tastee Talent Trail. I had so much fun and so many patties (Laughs). I met all times of people. The whole crew was just pure comedy, so it was just awesome putting on the judge’s hat. And I’m used to being judged, so the shoe was on the other foot for a change. It was unnerving at first, but I really enjoyed it and getting to give constructive criticism. It was a good journey. Looking forward to it again next year. At age 34, how do you feel about the woman you’re becoming? I am excited about who she will be tomorrow, and satisfied with who she is today, and I’m grateful that she is not who she was yesterday. That’s beautiful. So what are you most looking forward to in 2013? So many things. I have so many awesome songs that I’ve recorded. I’m gonna be shooting videos. I did a combination with an African artiste called Wyre, we did a pre-release, and hopefully I’m gonna be heading over there next year for something really big. So I’m really excited about that. Also coming up, I have tours of Hawaii as well as other parts of Africa. And, of course, the play will be on as well so I’m overjoyed.